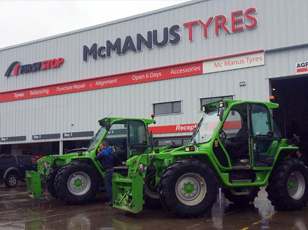 McManus Tyres, Dundalk, Co. Louth. Based in Dundalk, we offer free tyre checks, tyre changes while you wait, and wheel alignment service without a compromise on quality. We are also puncture repair specialists. We stock a complete range of the best car and van tyres; Bridgestone, BF Goodrich, Michelin, Firestone and Pirelli. 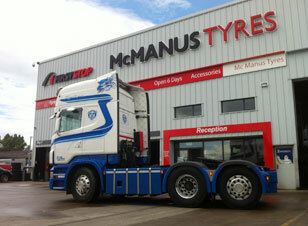 Premium quality truck tyres combining superior safety with mileage resulting in cost savings over the whole tyre life. Tyres for all types of agricultural equipment. Bridgestone, Firestone, Michelin, Kleber and Alliance. 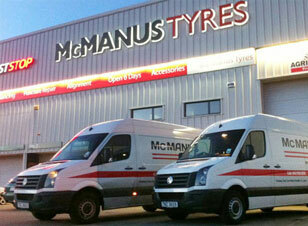 Why Choose McManus Tyres Dundalk? We deal direct so you get the best deal! Excellent service and the cheapest deal in the North East for branded tyres. Runflats for BMW stood me 330 euros less on a set than best Dublin quote on the set. Great bunch of lads and hospitable especially Sean, well done guys. If you have limos go here lads. Hi Shane and Team. Just a little message to thank you all so much for your help and advice last week. Shane your team is a credit to you. Hopefully I won't see you anytime soon though thanks again. 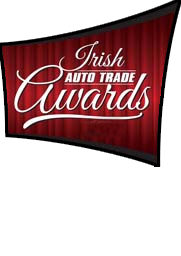 Breakdown assistance when needed, at any time, call +353 87 249 5993. Latest machines offering accurate wheel balancing, ensuring your wheel is balanced and as error-free as possible. Our computer controlled environment ensures your vehicle is road worthy in every aspect of the steering and drive systems. Ensure your tyres conform to legal requirements on road safety; tread depth, wear and tear inspection, tyre pressure and proper dimensional requirements for your vehicle.